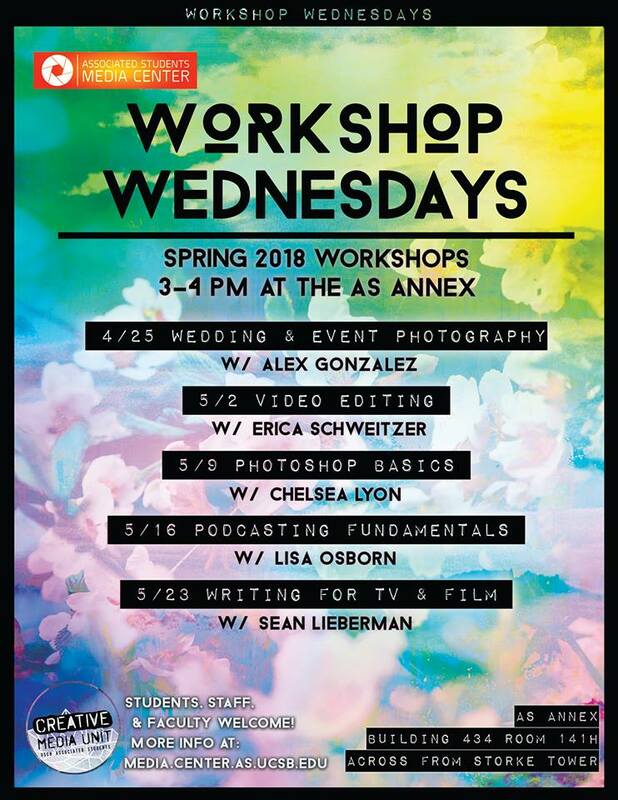 Spring Workshops in the AS Media Center. We are still accepting applications for Vice Chair, Project Manager, Administrative Coordinator, and Outreach Coordinator for next year! 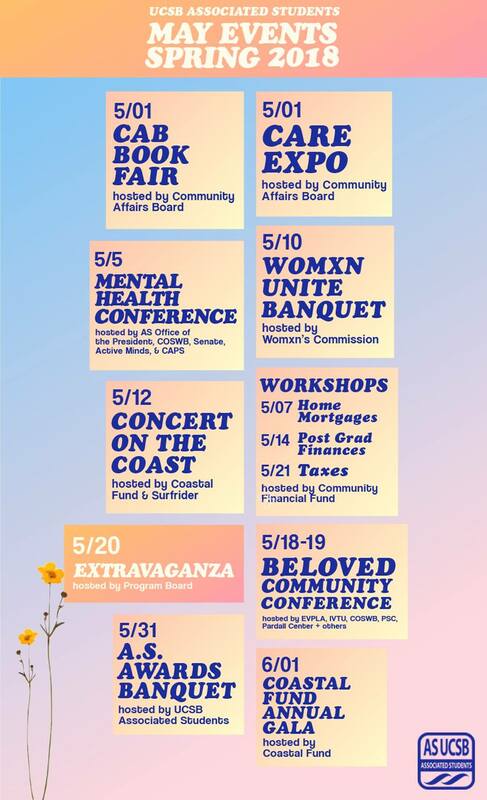 Applications must be submitted by May 6th at 4 p.m. Getting involved with Bike Committee allows you to collaborate closely with campus stakeholders such as administrators, planners, and architects, as well as local law enforcement, nonprofit organizations, and of course, fellow Gauchos. Check out the Google Forms and apply now! 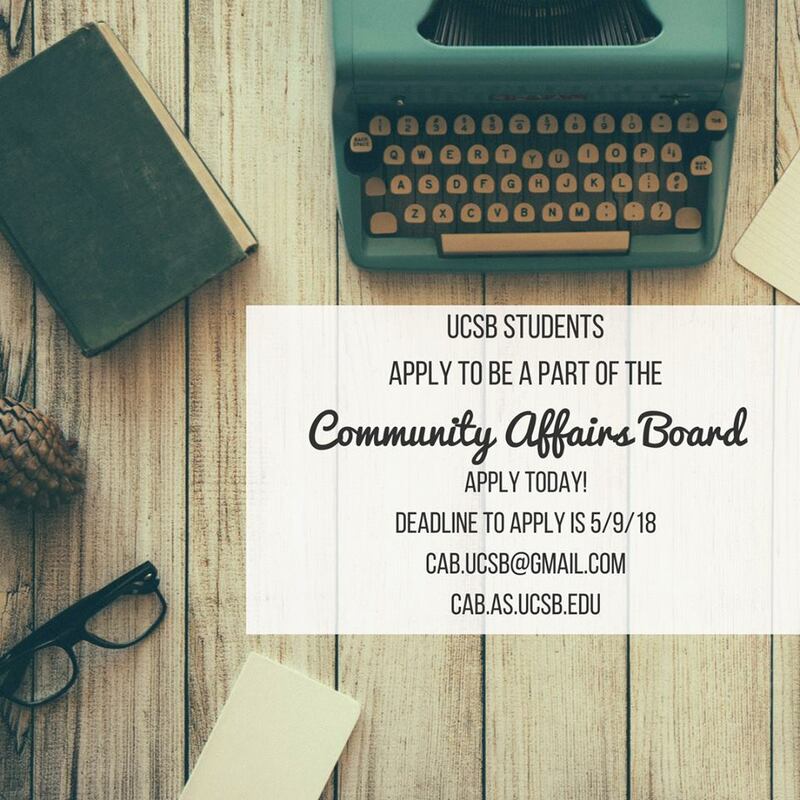 Community Affairs Board applications for the 2018-2019 are now open! 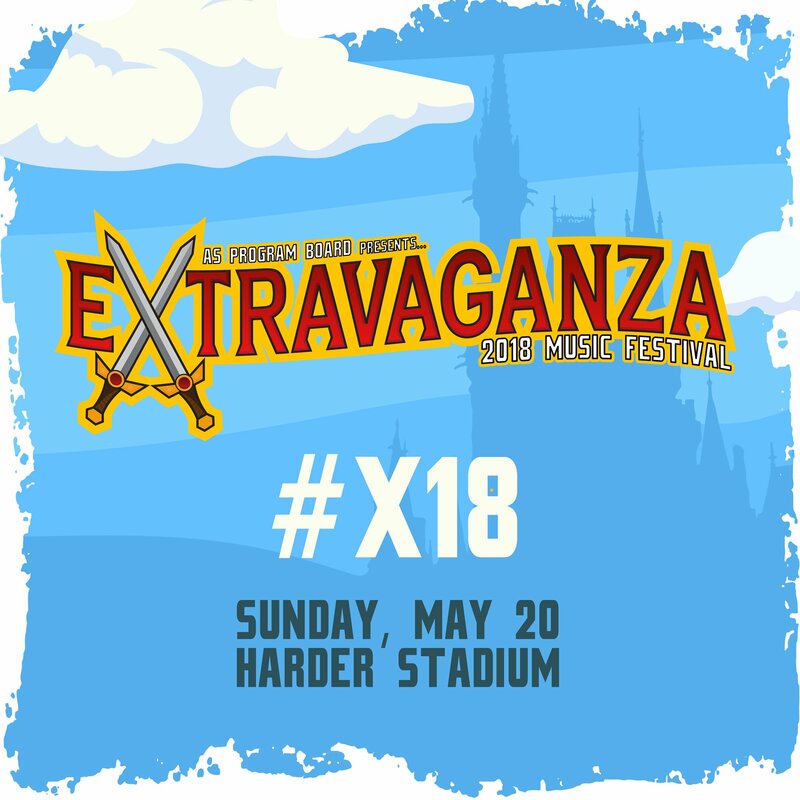 Apply to be part of the largest student run volunteer organization! We would love to welcome you into the CAB Family! 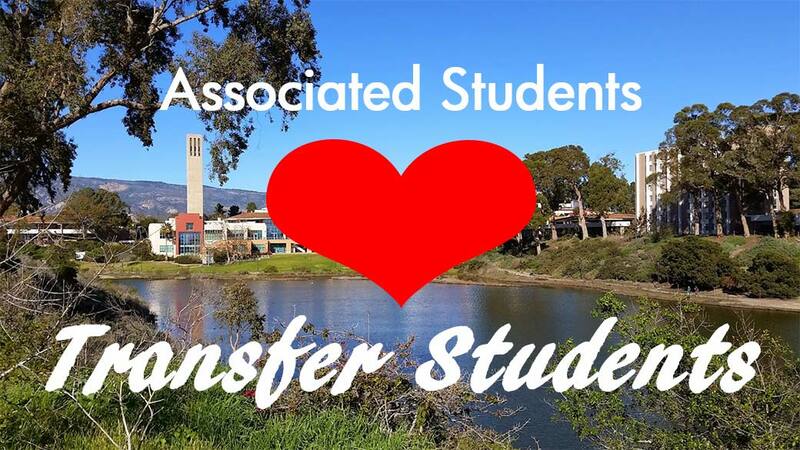 AS welcomes Transfer Students! This year, the Transfer Student Alliance became part of Associated Students. A new senator is devoted to transfer student issues and the TSA now has access to all AS resources. Come check us out and get involved! Congratulations to TBL and KCSB! Multimedia journalists from TBL and @KCSBNews received finalist awards from @SPJregion11 this year for our reporting. Congratulations! 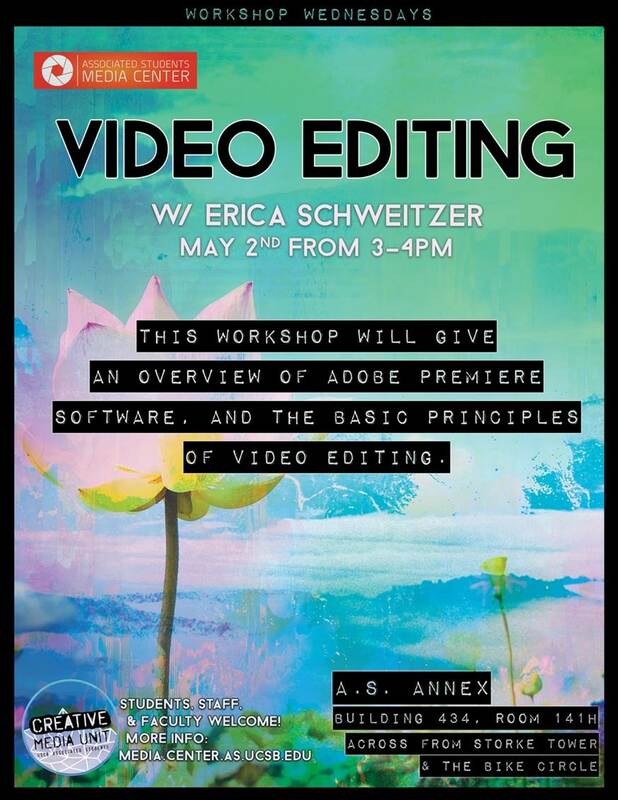 Workshop Wednesday in the AS Annex: Video Editing with Erica Schweitzer. Today 5/2 3-4pm. Students, staff, faculty, all are welcome. Friday 5/4 – 3p-6p Commemorating David B Miller and his contributions to Associated Students. In the courtyard between Corwin Pavillion and David B Miller AS Publications. Snacks and Refreshments will be provided. 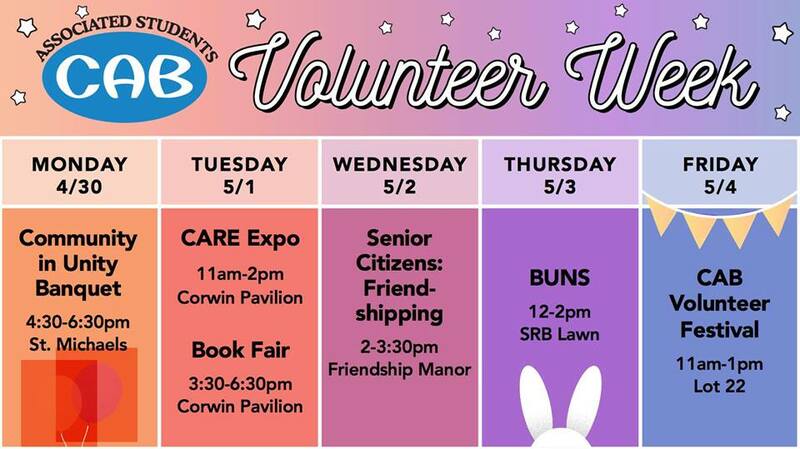 Come out to speed friendshipping today from 2-3:30 for friends & community service! ? ?